Litecoin has never aimed to become the ultimate store of value like Gold in this case. It’s premise on being the Silver to Bitcoin’s Gold allows it to focus on becoming a more effective medium of exchange that compliments Bitcoin’s ultimate store of value proposition. This was the main reason why Litecoin adopted Scrypt mining so that it does not compete with Bitcoin mining which uses SHA256. Both Bitcoin and Litecoin dominate their respective mining algorithms, and like Gold and Silver, they will work together to form the qualities of Sound Money in the future. For the past 7 years, Litecoin has been seen as the Silver to Bitcoin’s Gold. As cryptocurrencies like Litecoin become more globally recognised, the focus expands on catering to the world’s population. Hence, the vision also expands. Keeping with its fundamental roots of being a compliment medium of exchange to Bitcoin, Litecoin is now aiming at connecting the world through sound money, as well as promoting collaboration with other projects and people. Inspired by the ‘Think Different’ campaign led by Apple which highlighted time-honored visionaries that thought differently, ‘Connecting the World’ builds on this fundamental idea and praises those who have connected the world and shaped history throughout their lifetime. This vision all of a sudden becomes a turning point for the perception of the Litecoin brand as people will begin to realize that Litecoin isn’t just any old cryptocurrency; it has a powerful message at its core that encourages people to help connect the world. Litecoin is one of only a few cryptocurrencies to fuel the drive towards Sound Money, like Bitcoin. This is because Litecoin was launched with no premine so there was no inequality in the way it was initially distributed. Today, we tend to see a lot of premined cryptocurrencies where the founders are initially given a portion of the supply prior to the public. This can often lead to artificial price fluctuation so that founders are rewarded, and because of this, these cryptocurrencies are not accurate representations of Sound Money. In order to truly connect the world with Sound Money we must encourage cryptocurrencies like Bitcoin and Litecoin that have no premine or centralized figures benefiting financially to become the primary methods of payment. 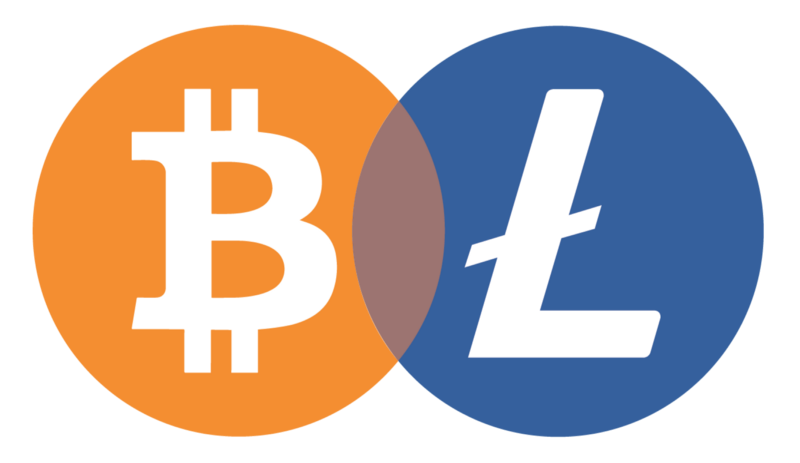 With the introduction of second layered solutions such as Lightning Network as well as Atomic Swaps, this will greatly aid in connecting the world and allow Litecoin and Bitcoin to interoperate with each other to form the qualities of Sound Money for the future. Some argue that as Bitcoin becomes more popular on the Lightning Network that there is no use case of Litecoin, however, Lightning Network is unable to the cater for the world’s population and fully solve Bitcoin’s scalability issues. With Lightning Network, Litecoin becomes effectively a Bitcoin sidechain but with much better security via decentralized proof-of-work mining compared to federated or merge mining of regular sidechains. Value can move across chains seamlessly to take advantage of Litecoin’s faster and cheaper on-chain transactions. For example, you can use on-chain Litecoin for a Bitcoin Lightning invoice. The majority of cryptocurrency projects are often promoting closed or isolated goals. These projects believe that their coin or token will be superior to all others and builds hatred deep-rooted within the community. Whilst competition is highly important, these projects are extreme as they promote tribalism. If projects continue to foster this tribal mentality then it will transcend into the society and creates toxic behaviour within communities and in some cases countries. As the law of attraction states: “like attracts like” — meaning projects that are building hatred will continue attracting like-minded individuals to be doing the same. In order to truly connect the world, cryptocurrency projects need to come together and encourage collaboration. Project leaders should individually take responsibility to act sensibly and encourage the community to learn about other projects and not build hatred. The Litecoin project is a great example of how it is connecting the world through collaboration— through its recent partnerships in and outside of the space. For example, Litecoin has started working with X9 developers and XSN to enable Litecoin support on Neutrino; which is a light Lightning Network client in order to build the the maintenance and hardening of the Litecoin Development on Lightning Network. The Litecoin Foundation has also accredited CoinGate as its official Litecoin Lightning Payment processor to grow merchant adoption on Lightning Network. Alongside this, collaborations with Token Pay has enabled the Litecoin Foundation to gather a 9.9% stake in the German WEG Bank so that it can build financial solutions in the long term future. Litecoin is also collaborating with Beam and other cryptocurrency projects to help aid research and development for privacy and fungibility implementations for the Litecoin blockchain. Litecoin isn’t just about connecting the world through payment, it is also about connecting the world with people as part of this process. Just by being part of the Litecoin community you have many opportunities to meet with different types of people from all around the world that are all working to build a better future. Normal ordinary people like you and me can help change the world. The power to make a positive difference belongs to us. Everyone has the ability to go out and push for adoption: whether it be going to merchants or businesses to accept cryptocurrencies as payments; or attending meetups, summits, talks and online discussions to engaging with new ideas on social media forums — people are the forefront of this innovative new revolution. In order to connect the world we must encourage connections with others and help inspire people to do the same — and the Litecoin community really embodies this message. There are many educational resources such as The Lite School of Crypto that helps to build confidence in people about cryptocurrencies like Litecoin, to everyday people going to local merchants to accept Litecoin as payments to avid members attending blockchain events, summits and local meet ups — each person contributes in their own way which plays a crucial role in helping the overall growth of the Litecoin network. This global shared effort can be seen through the marketing growth of #PayWithLitecoin that has been built organically within the community and helps to ensure that future businesses and merchants receive a decent amount of online attention — should they choose to add Bitcoin and Litecoin to their payment options. By building this ethos, the people then become the most important assets of the cryptocurrency project. This strong grass-roots approach by the Litecoin community sets it apart from most other communities in this space. Litecoin continues to grow globally and we’ve already this come to fruition with major business partnerships with the UFC, HTC and WEG Bank. As more outside businesses enter the cryptocurrency space, Litecoin will be at this forefront pushing for mainstream adoption. Join the revolution now with Litecoin as it leads the industry in connecting the world.